We have lots of great surplus medical items! Some are new, others may be refurbished, and still others are used. If you have any questions, please do not hesitate to give us a call! 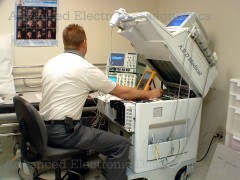 Advanced Electronic Diagnostics, Inc. has been providing money saving solutions to the small to mid-sized medical practice since 1985. Call us today to see how we can protect your equipment investment, and keep your systems running profitably!